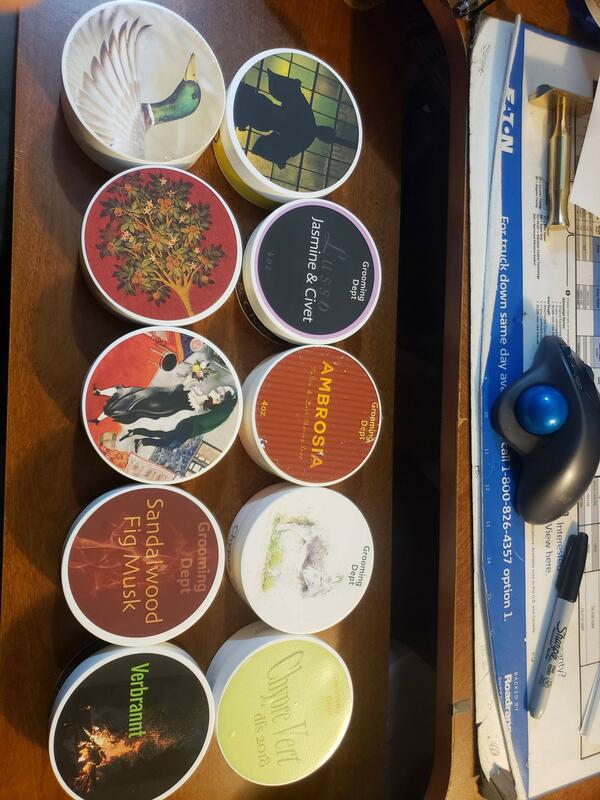 7 USED-- Chpre conifère, ambrosia, veritas ( liquid one), lusso jasmine & civet, mallard, tao, conca d'Oro. Shipping is conus and included. 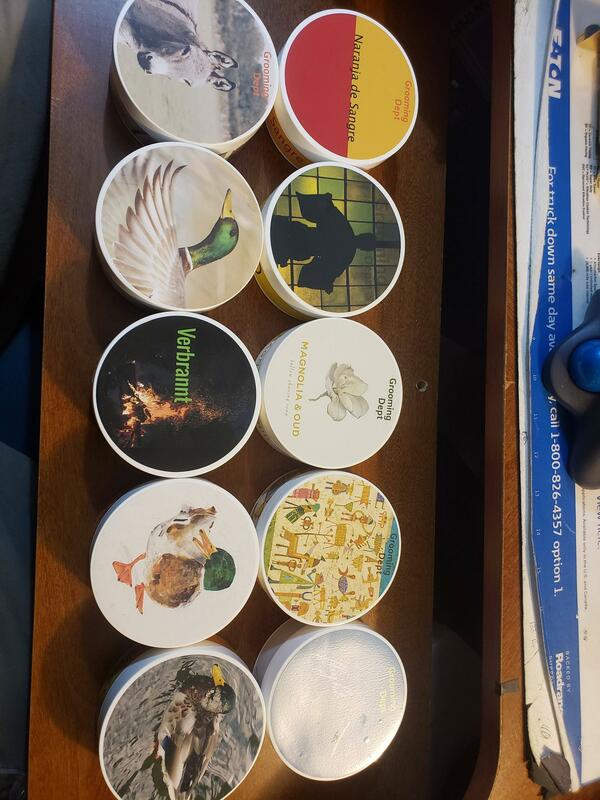 Awesome soaps, time to thin the heard of double and triples. Sitting with now almost 400 soaps lol . Dropped another $20 off each. I really do not want to split up and do several mailings. Damn, 400 soaps! Your making me feel better about my collection! Dropped to 210, let's get this sold lol I'm getting cold feet and going to pull it soon cause I hate selling stuff. so get it if yall want!! Its gonna cost me $17 to ship so I do believe this is a fair price. I know it's a bunch of soaps. Will split if 2 people can come to an agreement on what soaps they want.